Purity and ethical behavior are central to the teachings of the Bhagavadgita. The scripture teaches the importance of virtuous living according to the percepts of God’s eternal laws which are collectively known as Dharma. Arjuna personifies righteousness. His intentions are pure, but his wisdom is not yet fully illuminated by the light of God. Lord Krishna personifies the Supreme Being and the upholder of Dharma. Without virtue and mortal purity, Arjuna would not have qualified for the knowledge. To help the aspirants, the Bhagavadgita provides a list of divine qualities, which are greatly helpful to cleanse oneself. Without those qualities it is difficult to bring light and illumination into one's being and realize the Supreme Self. The Vedas state that Brahma created three classes of beings, demons (asuras), gods (devas), and humans, and assigned to them different spheres. The demons are pure evil, the gods are divine, while humans are a mixture of both. Since both tendencies manifest in humans, it makes them vulnerable to a variety of weaknesses and wickedness, while at the same time they enjoy the unique opportunity to go even beyond gods and ascend to the highest heaven of Brahman. Those who follow the demons and cultivate demonic qualities fall into the darkest hells, while those who cultivate divine qualities and strive for liberation reach the higher worlds or the highest world. Thus, human beings have a choice to be good or evil or both. To make the right choice, they have to be pure and pursue the path of gods. They have to take refuge in light rather than in darkness and avoid accumulating sinful karma. With purity arises discernment and with discernment one can choose wisely. The Bhagavadgita suggests that to achieve liberation sattva must be predominant. It is a prerequisite to make progress on the path. However, in the end one has to transcend all the three gunas and become stabilized in the Self or in devotion to God. On the path of liberation, divine qualities play an important role. They are important to cultivate detachment, practice obligatory duties, renounce the desire for fruit of actions, cultivate right knowledge, stabilize the mind and experience true love in devotion to God. If you aspire union with God, you must become like God and remove all the differences and barriers in between. Isvara, the lord of the universe, is a pure being. He is made of utmost purity (suddha sattva). You cannot merge into that ocean of purity, without being pure. Therefore, a spiritual aspirant should strive to develop the following divine qualities to transcend his limited self and shine with the brilliance of God. A yogi on the path of liberation conquers desires and the fear of death by having faith in God. Hence, he is unafraid. As discussed before, purity is the basis of all the yogas on the path of liberation. An impure person cannot enter the pure world of Brahman. A yogi should pursue the path of knowledge (jnanayoga) and become well established in self-knowledge to overcome delusion and ignorance. Charity is one of the highest virtues. To be charitable a person must rise above selfishness and greed and practice non-covetousness. A yogi excels in charity. He may not have material wealth, but he readily gives away whatever he has. A yogi has control over his mind and body. He is restrained in his behavior and expression. Hence, he remains contended and disciplined. God himself is the source of sacrifices and engages in sacrificial actions. A yogi performs desireless actions as an offering to God. Hence, all his actions are sacrifices only. Scriptural knowledge prepares a person for liberation. To engage the mind in good thoughts, to acquire the knowledge of the Self, gods and righteous conduct, one should study the scriptures. The Upanishads declare that God created the world through austerity. Therefore, austerity is certainly a divine quality. Austerities purify the mind and body. Hence, they are highly recommended for self-transformation. Renunciants, ascetic people, and great devotees of God lead very simple lives. Since their hearts and minds are pure and since they are free from vanity, egoism, delusion and ignorance, they prefer walking the straight path. It is considered the highest virtue in Hinduism. All other virtues lead to it only. A yogi practices non-injury in all aspects of his life, physically, mentally, and in word and deed. He does not disturb others, nor is he disturbed by them. Truth is whatever that exits (sat). Truthfulness is abiding in that. The practice of truthfulness means not only speaking truth but also following it and discerning it. However, it should not cause injury, hurt or harm to others. Anger (krodha) is one of the chief evils, which lead to one’s downfall. Desires, attachments and the predominance of rajas and tamas are responsible for anger. A person overcomes anger by cultivating detachment and sameness to all. A devotee of God gives up all attachments and sense of ownership in his love for God, without expecting anything in return. In doing good deeds or helping others or showing compassion, he does not seek any rewards. The human mind by nature is fickle, which is further aggravated by worldliness. A spiritual person keeps his mind and body under control and restrains his senses by subduing his desires, whereby he experiences peace. This is the direct result of detachment, sameness, non-injury, compassion, and self-restraint. A person who has the predominance of sattva is gentle. He neither criticizes nor responds to criticism. He is equal to both praise and criticism. A yogi knows that existence is suffering and all living beings suffer in their own ways. He also sees the souls in the midst of all that suffering being caught in the cycle of births and death. Hence, he feels compassion for all living beings. Rajas and tamas make people harsh and cruel. Sattva on the other hand makes them soft and gentle. Gentleness does not mean weakness. 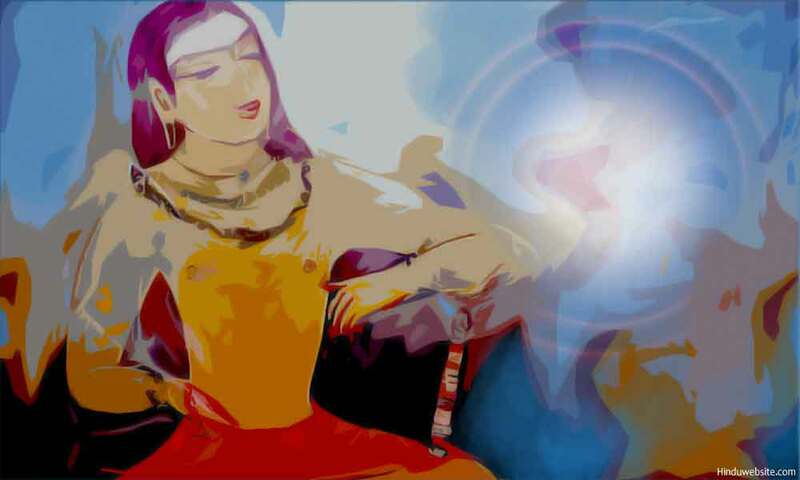 Lord Rama was gentle by nature, but possessed great courage and valor. Because a yogi keeps his ego under control he is unpretentious, modest and humble and is unswayed by pride, arrogance or egoism. He respects elders, parents, teachers, gods, saints and seers and abides by the injunctions of Dharma. Firm mindedness means not being troubled by distractions, suffering, desire for sense-objects, attachments, attraction and aversion, dualities, or emotions. A yogi’s mind is firm and stable since he is self-conquered (jitatma). Vigor means strength (balam) and freedom from sickness. Yogis exude a rare brilliance or aura because of their bodily vigor, which arises from the predominance of sattva and the rigorous practice of austerities and self-purification. Forgiveness is the direct outcome of renunciation and compassion. A yogi moves with his mind firmly fixed on God, without harboring any ill will or enmity. He forgives even those who try to harm him. It is the quality to remain undeterred by the difficulties in life or on the path. It denotes self-control, equanimity, sameness, and absence of fear. A yogi silently bears the burdens of life with equanimity, neither happy nor unhappy. In Hinduism godliness is considered the same as cleanliness. One has to focus upon not only cultivating physical and mental purity but also keeping the surroundings clean. A yogi should always choose a clean place to practice meditation. Those who are devoted to God or committed to virtue and righteousness cannot indulge in deceit, disloyalty or fraud. They give up their lives if necessary for truth and dharma rather than betray their values or their virtues. Egoistic pride is an evil quality which is common to demonic people. In virtuous people it is completely absent since they subdue their egos and surrender to God, abiding by his will and accepting whatever that happens to them. God is the source of all. All the dualities arise from him only. Hence, it is wrong to believe that he manifests only divine qualities or responsible for only light and delight. Demonic qualities also arise from him only. He is the concealer as well as revealer. He subjects beings to delusion and ignorance. However, on the path of liberation yogis overcome such limitations and cultivate discernment. While cultivating virtues it is important to practice rules and restraints (niyamas and yamas). The ultimate goal should be to cultivate sameness or equality towards all pairs of opposites and remain undisturbed in all conditions and situations.